The lights will stay on in the Staples Center through mid-April, but not because of LeBron James and the Lakers. It will instead be the Clippers hosting the arena’s first NBA playoff series since 2017, when they face a top-three seed in the West playoffs. The home festivities will likely be spoiled by Golden State, Denver or Houston, but that shouldn't cheapen the accomplishment of Los Angeles' playoff appearance. Surviving the Western Conference gauntlet is an achievement in itself, even if it comes with only a brief cameo. We won’t spill too much ink on the Clippers’ playoff outlook. A round-one exit is expected barring a week-long eruption from Lou Williams. The list of challengers to Golden State is short, and the Clippers don’t make the cut. We can't completely assume that will continue be the case as we turn to the next decade, though. Based on their prime free-agency positioning, a post-Lob City contender could arrive sooner than we think. The power players are beginning to reveal themselves for one of the most anticipated free-agent classes in recent memory, and we could be in for an bicoastal summer. The Lakers, Clippers, Nets and Knicks all boast significant cap space, while contenders in Boston, Golden State and perhaps Philadelphia will fight to retain their max stars. The four teams in New York and Los Angeles each present an appealing free-agent pitch. Can the Clippers steal a star? Cap considerations won’t restrain Los Angeles on July 1. The Clippers enter free agency with just under $60 million in salary cap space, enough for two max contracts. Jerry West’s cap cleanse has been historic, shedding $65 million in two offseasons. After one Big 3 stalled, a new superteam might be within reach as the calendar turns to 2020. So who could possibly arrive as LeBron's co-tenant in Staples Center? The field is wide open. 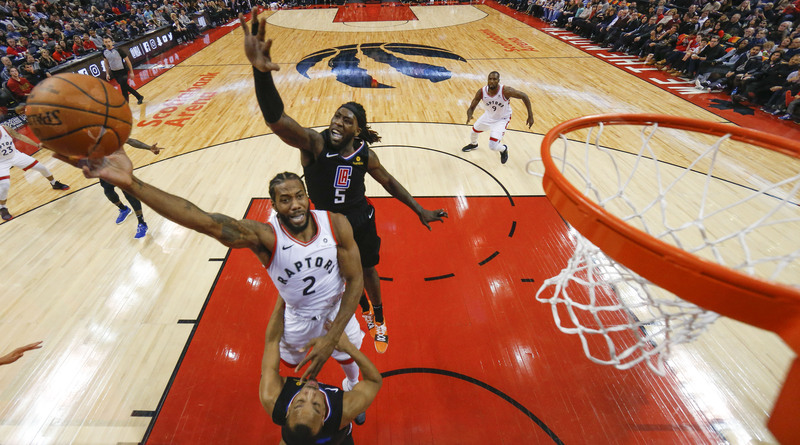 Kawhi Leonard has been whispered as the most likely candidate, able to return to Southern California while avoiding the spotlight as a member of the Clippers. Leonard is no sure thing, of course, as maintains a blank slate with the media and a strong basketball fit with the Raptors. Toronto’s culture may persuade Leonard to stay north of the border. 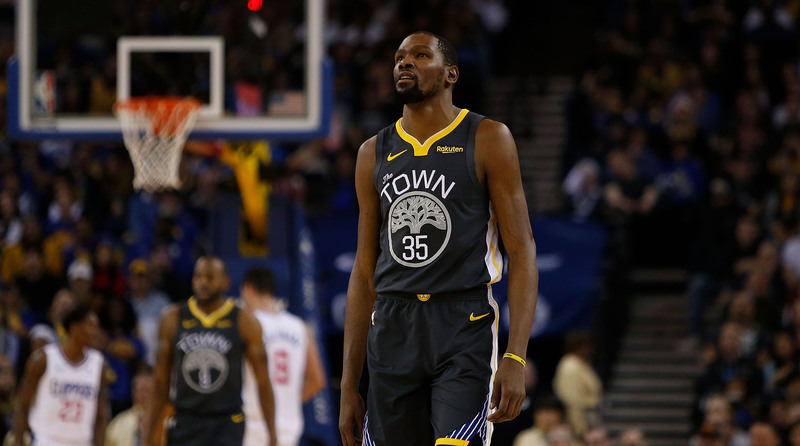 The Clippers could be a logical fit for Kevin Durant after his reign of terror in Golden State. Durant, who has always lamented being No. 2, could attempt to outshine James in the same building, chasing an MVP with a team that is fully his own. It’s hard to imagine an ego clash with Danilo Gallinari or Montrezl Harrell. Leonard and Durant sit atop the wish list, no-brainer additions the moment they wish to sign. The rest of the class is more complex. We’ve seen the complications wrought by the supermax era, and a long-term commitment to the wrong guy can set a franchise back a half-decade. Los Angeles recognized as much in January 2018 when it shipped Blake Griffin to Detroit. The move was a touch cruel, but it shattered the Clippers’ ceiling. Shelling out $36 million to Blake Griffin in two years is no way to compete for the conference crown. That lesson will apply to this year’s class, too. Kemba Walker could launch triples for Los Angeles as Shai Gilgeous-Alexander takes the toughest defensive assignments. But would Walker be able to keep up with Steph Curry, James Harden or Damian Lillard? Jimmy Butler falls into a similar range. He’s still a quality crunch-time scorer and a top-tier defender, and his more toxic tendencies should fade as he gets paid. He’s been quietly impressive in Philadelphia, contributing despite limited usage after some early unrest. Los Angeles would be markedly better with Butler. But would they be $150 million better? The balancing act is difficult. There is the off chance the Anthony Davis sweepstakes expands past the Lakers and Celtics, yet the likelihood of Davis donning anything other than purple and gold in Los Angeles is minimal. Even the greatest Gilgeous-Alexander evangelizers would concede the rookie is a step below potential trade headliners Jayson Tatum and Brandon Ingram. Harrell moves the needle more for a contender than a rebuild. Ditto for Gallinari and Williams. Barring a drastic drop in price, the Clippers’ best path runs through free agency. The Clippers could very well end July’s musical chairs without a seat, slinking back to the crowd of non-contenders as the Lakers or Knicks celebrate their new acquisitions. But like a potential first-round exit, the outcome is nothing to be ashamed of. The Clippers can re-sign Patrick Beverley and decide if they wants to re-up on Ivica Zubac, Wilson Chandler and JaMychal Green. No deal will break the bank, and financial flexibility will remain intact. A new class of free agents will arrive 12 months later, and a star with a price tag below Davis’s high bar could enter the trade market. The disparity between the Clippers and Lakers is startling as we approach the postseason. The Lakers have their superstar in place, and are by all accounts a disaster otherwise, entering July praying for a massive mulligan after missing the playoffs and watching the resignation of Magic Johnson. The Clippers are presently without any marked star, let alone one of LeBron’s stature. Yet they stand as a paragon of stability from ownership to management to their head coach. It’s an appealing pitch to a prospective free agent. Joining the Knicks is a blind leap of faith. Joining Doc Rivers and Co. is a calculated decision. Lob City could become a distant memory after this summer, with a new superteam outshining LeBron in Los Angeles.